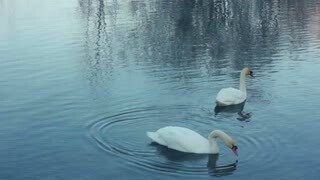 Beautiful white swans are swiming and eating in a pond on city park. Wildlife concept. 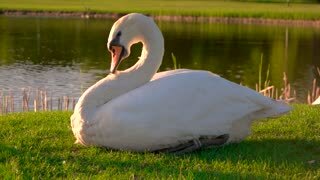 White swan on green meadow. 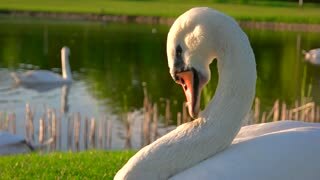 Beautiful white swan pecking feathers on green lawn against pond background. 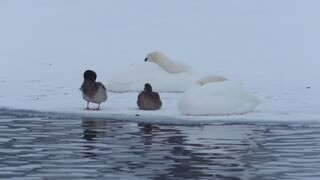 Close up white swan pecking feathers. 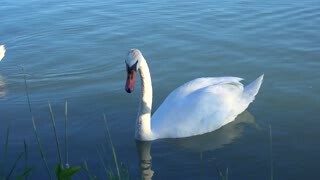 Swan cleaning feathers on pond and reeds background. 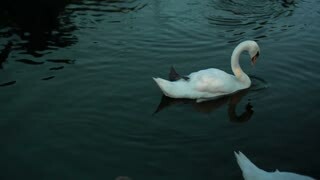 Beautiful graceful bird. 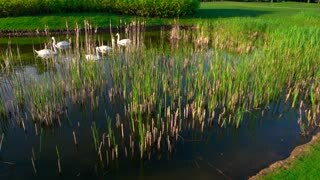 Group of white swans floating in pond. 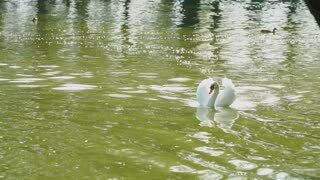 Swans swimming on summer nature background. Beautiful sunny day. 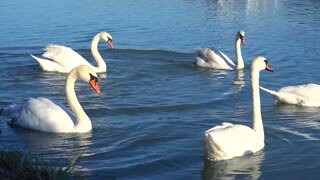 Beautiful white swans floating in river. 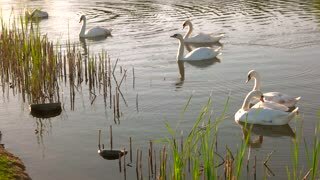 Swans in rural pond. Beautiful summer scene.